Watering your lawn and yard can be a frustrating chore. Not only do unexpected weather conditions play a factor, there is a matter of timing to turn it on or off. 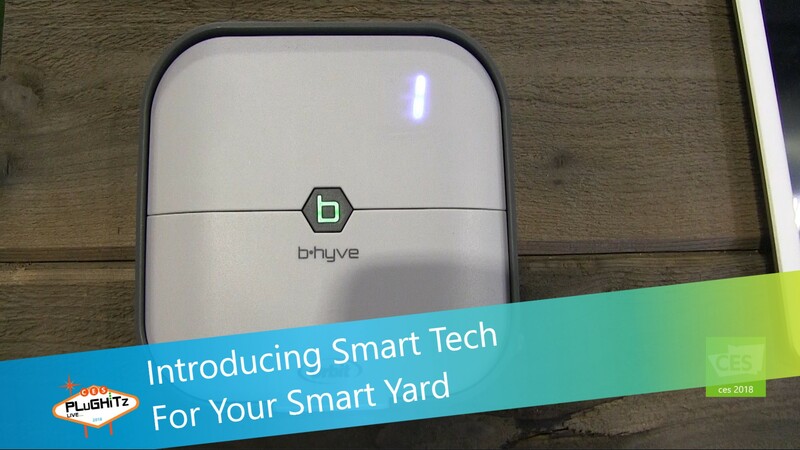 Now there is b•hyve, a line of smart timers for your lawn. These timers can be connected to the internet so you truly can "set it and forget it." b•hyve knows the weather up to 14 days in the future and, with that knowledge, will save you up to 50% water use. It is also aware of certain restrictions in your area, such as during a drought or flooding. It can check after a rainfall to see how much it has rained so it can adjust accordingly for the next cycle, preventing overwatering. The outside and inside timers are compatible with any brand of irrigation systems, not just with Orbit systems. Another option is a spigot timer for your outside faucet. Many people water this way, and it's not unusual to turn on the water and leave home, forgetting it is still on. It features a flow meter inside to let you know how much water you have used, as well as to limit the amount of water used. This is very helpful when you want to fill the swimming pool for your children or even fill a large aquarium. These products are currently available at Home Depot, Lowe's, Walmart or Amazon. Pricepoint for this system depends on how large of a system you need or want. Outside mount with 6 stations in a weather-proof box is $100. An indoor mount for a shed or a garage is $60 for 4 stations or $80 for 8 stations. There is also a hose tap timer to be use from the end of your hose available for $40 and if you need the hub to make it Wi-Fi, it's $70 for the pair. For more information check out their website.